Stress Disorder, and even dial 911 in the event of an emergency. Many disabled individuals depend on them every day to help them live their everyday lives. 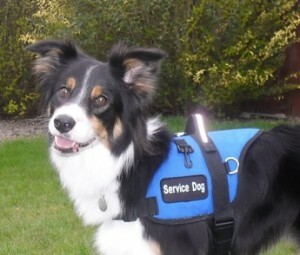 Are You Entitled To A Service Dog? 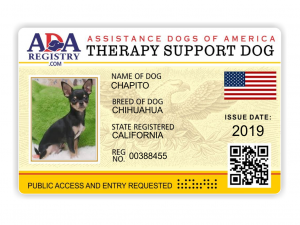 If you are limited in any way with the ability to perform major life tasks such as seeing, hearing, standing, walking, eating, sleeping, thinking, speaking, have a mental condition then you likely have a disability that would make you eligible to have a service dog under ADA laws. The service dog helps you in performing the particular tasks that you would otherwise be difficult to perform without the service dog. 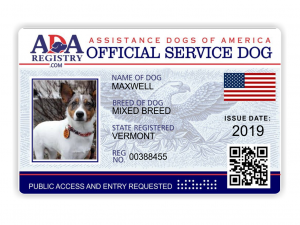 ADA law also allows service dogs on airplanes when individuals with service dogs are traveling and they do not have to pay an extra fee to have their service dog by their side. 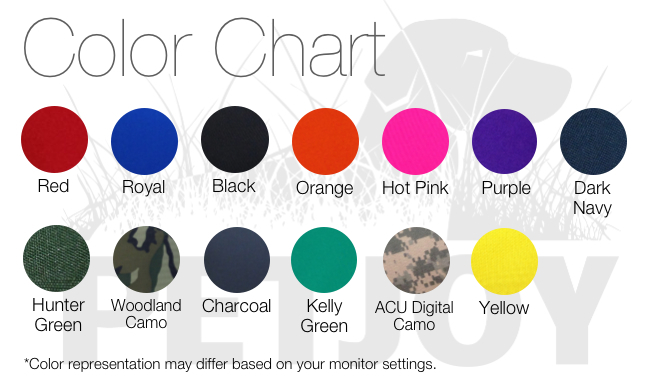 Everything You Need — Without The Hassle. 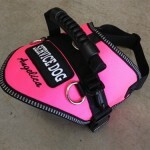 Our kits give you instant visibility, documented identification, and certified registration as a Service Dog Owner. Each component is professionally designed to exceed requirements by the U.S. government. 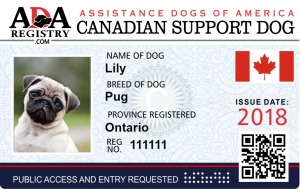 Our Kits include: An “official” dog vest, ID Card @ Certificate that clearly designates your animal as a Service or Support Dog. You also get full electronic documentation sent direct to your email. 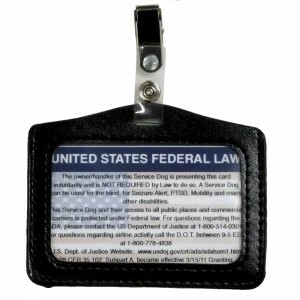 great for when documentation is required on a moments notice such as booking hotels or other places where documentation is needed. 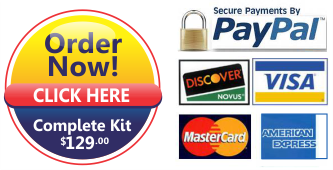 Travel freely and without worry of embarrassing questions. Save time by avoiding delays and explanations. 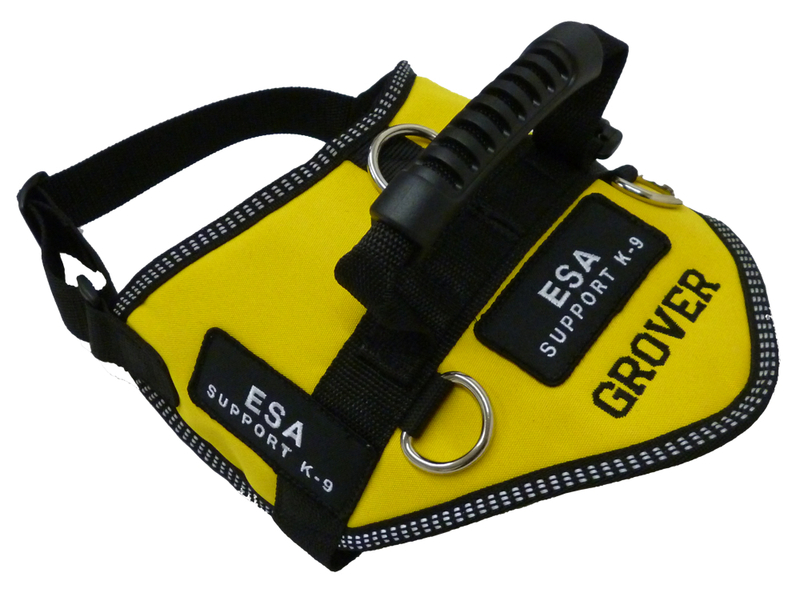 Let your KIT do the talking and go anywhere — It’s your Right! 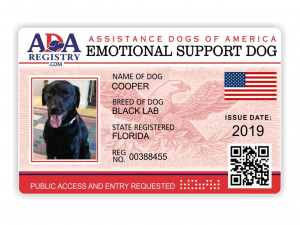 While registration is not mandatory under law, many owners of Service Dogs Emotional Support Dogs and Therapy Dogs find it helpful to register their dog as an additional way to designate their animal’s special status. Many landlords and business owners request to see registration paperwork or other identification and even though such paperwork is not required under law, it is often easier to provide the requester with a registration document or ID rather than argue the point or attempt to educate the person. 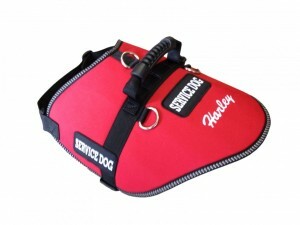 Your dogs appearance and attire such as a service dog vest with identification will without a doubt avoid public doubt and conflicts about the validity of your service animal.